Home Tech Is a Tire Pressure Sensor Necessary? 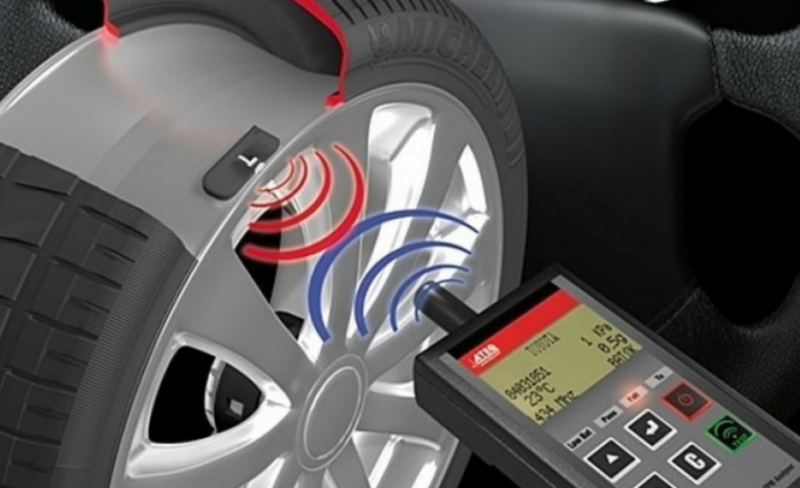 Is a Tire Pressure Sensor Necessary? New cars have an array of bells and whistles that are invaluable for our driving experience. The advent of Bluetooth technology was a huge step in the right direction to avoid the potential distraction caused by talking on your cell while driving. Blind spot monitors are turning out to be somewhat helpful in the avoidance of collisions from people who aren’t exactly savvy when it comes to driving. However, there are some additions to newer cars that people are fed up with, and they can’t seem to wrap their brains around whether or not they’re helpful, or hurtful. The tire pressure monitor is newer cars is meant to be helpful. It is placed in a car to alert the driver as to when their tires may need filled to operate at maximum efficiency. However, what some drivers are finding is that it’s more of a hindrance than a help. For many drivers, a persistent bell going off and a new light popping up on the dashboard can be a cause for panic. We don’t want to see any kind of warning light in our eye line while we’re driving, because it typically means something is wrong with the car that we didn’t expect. Problems with the car, for many people, signify costly repairs, so the tire pressure monitor has become a thorn in people’s sides. Essentially, in most cases, it means absolutely nothing. What manufacturers didn’t account for is the drastic fluctuation of tire pressure during any given day. When a car is typically garaged during the evening hours, and the tires are then greeted with the hot asphalt on a summer day while you’re in your place of employment, the pressure is going to adjust to the temperature difference. Cue the tire pressure warning. What many drivers are asking is how much of a fluctuation that monitor accounts for. Is it actually an emergency situation that requires my immediate attention, or is it something we can ignore? Will the tires self-adjust? Now, if you check it out on the internet, many sites will tell you that the monitoring system is there for your safety to prevent “tire failure”. However, most of the top answering sites are those belonging to tire companies, so the information may be slightly skewed in their direction. Of course a tire company is going to say that the illumination should be immediately checked and that it is an emergent situation. Personal experience dictates that the monitor is far too sensitive, as mine comes on when there is any type of variation from the 36psi that my tires require. As a traveler, and generally paranoid person, I am acutely aware of particular sounds or alerts, so the tire pressure monitor has been quite an adjustment for me, as a driver. I’ve experienced the alert when my tire pressure reached 40 psi during a heat wave in the height of August, as I’ve also seen it come on when my tire pressure is at 32. There doesn’t seem to be a great deal of rhyme or reason, but I’ve yet to see it for an alarmingly low or high pressure. Of course, the system could work to a driver’s advantage, as it does let you know there is something you should be paying attention to. Tire pressure fluctuations can cause your tires to wear unevenly, which means that you could have to replace your tires sooner than the manufacturer recommends. Unfortunately, many people see that light come on and it sends them into a bit of a panicked state because they believe their tires to be just seconds from a blowout, and this isn’t typically the case. Truth be told, there is no monitor or light that can account for a keen knowledge of your car. Many drivers have adopted a laissez faire attitude about their vehicles, and simply rely on all the new features to tell them when something is needed. This type of attitude toward the health of your car can be somewhat dangerous; a driver should know what their car feels like on a daily basis. If you tire pressure is dangerously low, your car is going to ride differently, and for this reason a driver should be highly attuned to the daily function of their vehicle. Don’t rely on bells and whistles to tell you something isn’t right; know your vehicle. A firm grasp of your car’s habits and typical sounds may be the only monitoring system you’ll need.